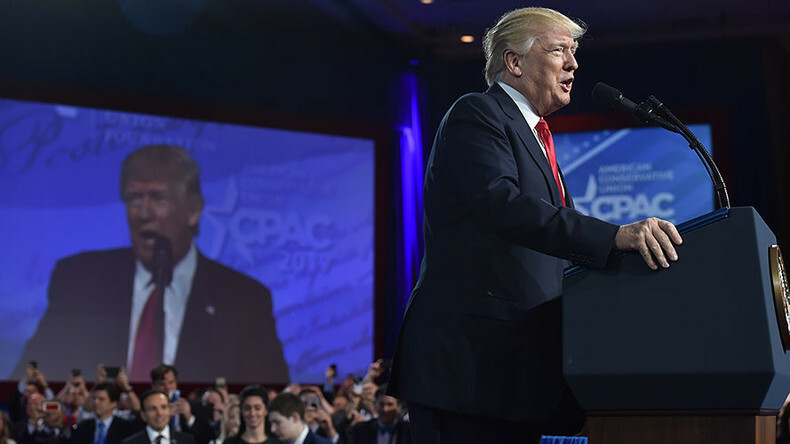 President Donald Trump intends to keep his promises to the American people, from securing the border and fighting terrorism, to rebuilding US industry and the country’s military, he told the Conservative Political Action Conference (CPAC) in Maryland. “The media didn’t think we would win. The pundits didn’t think we’d win. The consultants that sucked up all that money… didn’t think we would win. But they all underestimated the power of the people. And the people proved them all wrong,” Trump said, to cheers from the crowd. “I’m not against the media,” Trump said, explaining what he meant when he called some media “enemies of the people” in a tweet. “I am against only the fake news media or the press. Fake,” he stressed. “I’m against the people who make up sources and make up stories,” he said, while urging the media to stop quoting unnamed sources and cite people by name. Criticizing journalists does not run against the constitutional protection of free speech, Trump argued. “[Fake news] doesn’t represent the people, it never will represent the people, and we have to do something about it,” he said. The president had some kind words for Vermont Senator Bernie Sanders, who ran for the Democratic presidential nomination, but lost to Hillary Clinton. Sanders’ movement “petered out,” because the Democratic primary system was “a little rigged against him,” Trump said, adding just one word – “Superdelegates!” – to the laughter of the audience. 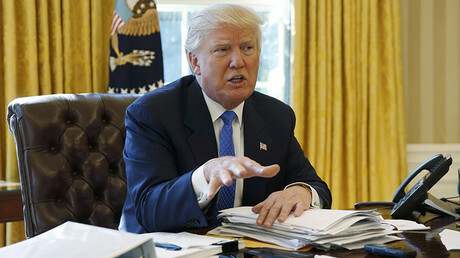 “Basically, all I have done is keep my promise,” Trump said, reminding CPAC attendees of his campaign platform and the steps he has taken to implement it – from cracking down on illegal immigrants and building a border wall to repealing Obamacare and reviewing “terrible” trade deals. “Remember the lie, 28 times? ‘You can keep your doctor, you can keep your plan?’ Over and over you heard it. So, we’re going to repeal and replace Obamacare,” he said, referring to his predecessor’s pitch for the healthcare mandate. “The era is empty talk is over. Now is the time for action,” Trump said. “The core conviction of our movement is that we are a nation that puts and will put its own citizens first,” Trump told the audience at CPAC. Right now, immigration enforcement is rounding up criminals and “throwing them the hell out of our country,” he said. Trump reminded the audience that he has already made good on one promise: withdrawing the US from the Trans-Pacific Partnership (TPP). He pledged to cut regulations that stifle business, while keeping the ones related to safety and the environment in place. He also vowed to cut taxes on the middle class and businesses and simplify the tax code. “It’s time for all Americans to get off of welfare and go back to work. You’re going to love it!” Trump said. At the same time, the president promised a massive military build-up. “Nobody will dare question our military might again. We believe in peace through strength and that’s what we’ll have,” he said.